Burlington Beer Festival - Four Fathers Brewing Co. 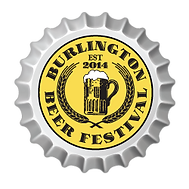 The 3rd Annual Burlington Winter Beer Festival is the culmination of the inaugural Festival of Beer, an exciting celebration of beer and beer food pairing in partnership with local restaurants and progressive craft brewers from across the Province. This celebration will once again be hosted by our friends at Holiday Inn Burlington.